Hello lovelies! I was aiming to get this post up earlier, but I’ve had my hands full with errands, work and editing. I’ve been a little stressed, but I truly believe there’s a great difference with good and bad, draining kind of stress. Lately I’ve mostly just had the ‘good’ kind when life is busy with things you love and want to work on. I have a lot of content for the blog in preparation, I just need to seclude myself and type it all down haha. Today I’m chatting about these gorgeous cheek (and lip) tints by a new Finnish cosmetic line - Korento Cosmetics! Korento Cosmetics is relatively new brand by Flow Cosmetics. Korento (Finnish for ‘dragonfly’) seeks to produce eco makeup and cosmetics that challenge their synthetic counterparts by working just as well while using safe and high quality ingredients (organic or wildcrafted). All cosmetics are made in Finland. 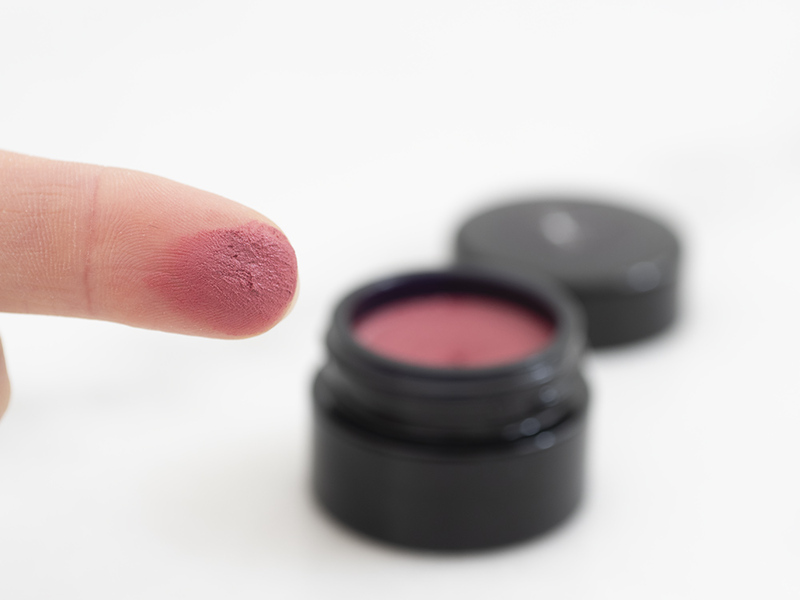 At this moment Korento produces base makeup, finishing powder, liquid blushers and lip&cheek tints. Korento Lip & Cheek tints come in pretty basic black glass pots. They’re nice, but I wonder why the dragonfly logo is just a sticker on the top? Recycling or saving? I’m not sure, but the cardboard packaging is very cute and chic. ‘Korento’ is in rose gold letters and there’s a dragonfly imprint on the top and inside box. I like this sort of attention to detail, colored or patterned box interiors always bring a smile to my face. The texture of these tints is pretty unique compared to similar eco makeup; Korento tints feel more mousse-y and cream like while many brands (Tata Harper, RMS) feel very oily and slippery on the skin. First ingredients of Korento Vitamin Infused Lip & Cheek Tints are oils too, but the products feel significantly drier to touch. I can almost see little ‘cracking’ on the surface, but it doesn’t indicate that product had gone bad or dried up too much. The finish of Korento Vitamin Infused Lip & Cheek Tints is quite matte. I tap my finger on the product and then gently smear it on my cheeks. I like that you don’t need to “warm up” the product by swirling your finger on the top gazillion times, but you pick up great color payoff right away. The colors are easy to blend and diffuse, but you can build up opacity if you wish. They are very nicely pigmented! All colors 4 colors I have last nicely on my cheeks, but just like most cream blushers they need touching up around 4-5h mark - for me, this fading happens with 80% of blushes. I don’t feel they leave a stain on the cheeks, that’s why I don’t really reach for them as lip tints. I’ve tested some of the colors on my lips and yes the color is cute and matte, but as a lip color I prefer either a true tint/stain like Lancome Matte Shakers or something with a little more slip. I see Korento Vitamin Infused Lip & Cheek Tints more as a cream blushers that you can multi-use for lips and eyes in a pinch. I have four of these shades myself (Heather, Cloudberry, Raspberry and Rosehip), but I was able to swatch all six shades available! Despite not using them as lip colors, I really enjoy Korento’s Vitamin Infused Lip & Cheek Tints. While I love the color selection, my favorite part is the texture. They’re easy to control and blend with fingers for a natural looking flush, no slipping, sliding or fading as quickly as many competitors. The price is on the higher side, but this one pot will last you a long while. I think this texture is a welcome entry to green beauty - especially to those consumers who want to try something new!